Physicaly a good level of fitness is required meaning you take regular exercise invloving cardio, strengthening and stretching over long periods. The complexity of skills required and the difficuly of the environment has been graded as easy. During the entire challenge you will be fully supported by highly qualified mountain guides who will not only take care of all route finding but also all aspects of mountain safety. The guides are highly experienced in running challenge events and have extensive knowledge of the Lake District so you will be in very good hands whilst enjoying the stunning scenery that the Lake District has to offer. First of all we would like to thank you for your interest in our Lake District 3 peaks challenge fundraising event and we really hope to see you in the early morning Moot Hall in Keswick on Sunday 25th August 2019 as we gather for what will be a challenging, interesting and hugely rewarding day for all concerned. The event has been scheduled on a Bank holiday weekend to minimise the number of participants who may need to take additional time and to benefit those who might want to make a weekend of it in the Lakes. A note of caution though, if you are considering camping in or near Keswick then we would advise to book a campsite as soon as your able to avoid disappointment. We see the event itself as a win win situation for everyone and we hope you do too. Not only is it an opportunity to meet like minded people, see the Lake District from a completely different prospective and take in some stunning views you will also earn the bragging rights for taking on this challenge. However, the biggest winners will be the nursery aged children in the village of Bakindik in Lower Niumi on the North Bank Division of The Gambia. Siiboo supports nursery education in The Gambia and predominantly in the cripplingly poor village of Bakindik where we have the Siiboo Nursery School. Since Siiboo introduced free nursery education in the village the number of children attending the school has grown considerably from 85 in 2015 to over 130 today and the building they are in is not big enough and given it's current state of repair is not for for purpose either. Earlier this year Siiboo bought a sizeable piece of land in Bakindik upon which is the shell of the first school in the village. The land and the derelict building on it offer an opportunity for Siiboo to build a new school and create a learning environment that the children can thrive in. 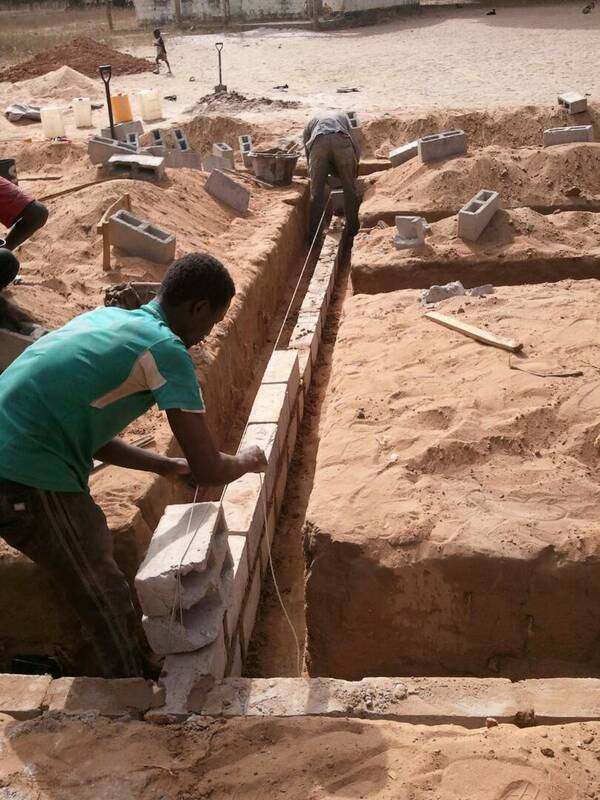 As well as building a new school Siiboo wants install a boreholeso the children have access to safe clean drinking water and much improved sanitation. We are aiming to raise £5,000 so we can install a borehole and begin to renovate the old building on site before extending it, furnishing it and turning it in to the the learning environment that is going to give the children in Bakindik the best opportunity to succeed through education and remove themselves and their own families from the poverty they live in today.Your support would be very much appreciated. Thank you. Development work on the land has already began. 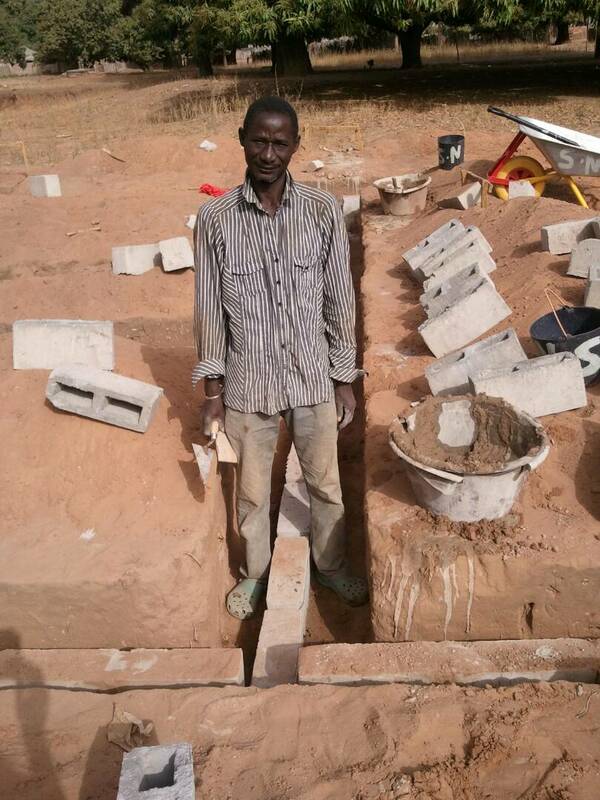 On Monday 5th February 2018 work commenced on the chicken house that Siiboo is having built. Working closely with Ellen's Organic Garden who are Gambia's biggest organic producer of poultry products we have had plans drawn for a chicken house that will be able to hold 200 laying chickens and allow for diversification in to broilers and breeders at a later date and once egg production is up and running. Having an at-hand source of fresh poultry products will be a significant step in introducing a feeding program at our nursery school and by selling eggs we will be able to afford soy, maize, milk powder and bananas which will be used in the breakfasts we want to provide at the school. In addition to combating hunger, school feeding will also complement the educational opportunities. Studies show it is difficult for children to learn without adequate food and nutrition. We are aiming to raise £5,000 so we can install a borehole and begin to renovate the old building on site before extending it, furnishing it and turning it in to the the learning environment that is going to give the children in Bakindik the best opportunity to succeed through education and remove themselves and their own families from the poverty they live in today. Your support would be very much appreciated. The cost of the event is £120 per person (this includes all the transport to and from Moot Hall and between peeks, food and water for the duration of the event and a free photo memoir of the event). To make the cost easier to manage we have split the payments. £20 is due at the time of registration to secure your place. £50 will be due on or before 1st October 2018. The balance of £50 will be due on or before 1st June 2019. Please note that the registration fee and any subsequent payments are non refundable. Their is a minimum – but very achievable – sponsorship amount of £100 per person although we are hoping your family, friends and work colleagues will dig deep for you and help you raise considerably more for taking on the challenge. While sponsorship forms are available by request all participants are actively encouraged to raise sponsorship online through BT MyDonate. You can create a fundraising page by clicking HERE and then clicking on the 'Create a fundraising page' link. Siiboo wish you every success with your fundraising. Download the full event brochure including routes.